Marley Building Systems is a South African subsidiary of Belgian industrial group, Etex. The company prides itself on developing innovative, sustainable and cutting-edge building solutions that are both eco-friendly and superior. By continuously seeking new ways of evolving building methodologies, we have not only proven to be an industry leader in the building sector, but we are renowned for providing complete solutions that build unmatched performance and add value to our stakeholders. We are driven by unwavering values of delivering only the best for our customers and developing a great workforce while building meaningful networks and relationships that work. In everything we do, we proactively drive valuable change and our products speak for themselves. • The highly resistant impact board, LaDura. LaDura, is made from gypsum board and reinforced with wood fibre, making it much stronger than our standard boards. Perfect for areas with high footfall, like schools, hospitals and communal areas. • The energy-saving and cost-effective Marley Polywool Insulation. Marley Polywool Insulation is great for ceilings and walls, designed to provide both residential and commercial properties with the perfect temperatures in winter and summer. • The medium density flooring substrate, KalsiFloor20®. KalsiFloor20® is suitable for all interior applications in both public and private buildings and is durable enough for commercial buildings with high foot traffic. • The beautiful fibre cement alternative, KalsiDeck20 – VL®. (Available in SA on Pre-Order). This product is great for both residential and commercial outdoor flooring applications, it lends itself well to design flexibility with its slight woodgrain print surface that can be painted to suit any aesthetic look and feel. 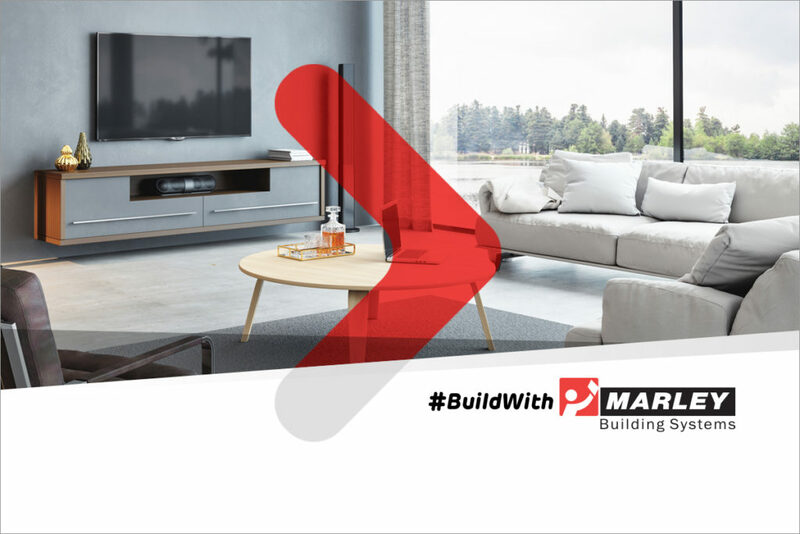 To #BuildWithMarley you can visit our newly revamped website, or download the Marley App (from the Android Play Store or IOS App Store) — the App provides easy access to the latest products and general information on Marley Building Systems.